Wedding anniversaries are wonderfully happy moments to celebrate, but we can often be stumped when it comes to gift ideas for each other or the happy couple. Here at Solid State UK, we have put together some ideas for traditional wedding anniversary gifts to help you mark the special day. Paper is the traditional gift for the first wedding anniversary, so why not invest in an original copy of your partner’s favourite book, or one that tells all the secrets of their favourite film. If books aren’t your thing, consider a daily journal, a special diary or a “question a day” book which allows the user to write an answer to one question each day for 5 years, giving you both the opportunity to see how your answers change over the years. Traditional wedding anniversary gifts for the second year are made from cotton. An item of clothing seems like the obvious choice here, but considering that cotton is most items, why not opt for a special pair of gloves or a scarf. Clothing aside, why not consider making or purchasing a canvas or art piece with an image or text sewn in with cotton? Other options include having your existing favourite item of clothing personalised with your partner’s initials sewn into the fabric. Into the third year, traditional wedding anniversary gifts are made from leather. Whether you’re considering a new pair of heels that can be worn out to an evening meal, a new bag or briefcase filled with some of your partner’s favourite items or a fancy pair of personalised gloves, there’s plenty of scope for the third anniversary. 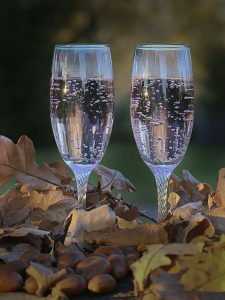 Here at Solid State UK have been helping to mark special celebrations with our event planning and marquee hire services. If you would like to find out more regarding our wide range of services, we welcome you to contact us. Please call us on 0116 2885956. Alternatively, fill out our online contact form and we’ll get back to you as soon as possible.